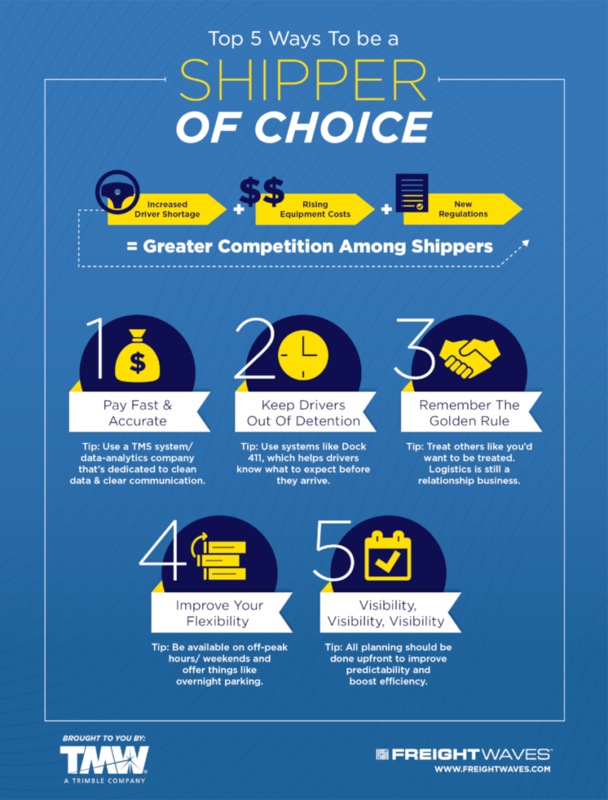 Becoming a “shipper of choice” is a decision. It doesn’t just happen. It’s also easier said than done. It takes strategic thinking and a commitment to professional consistency. For all intents and purposes, 2018 has become the year of the capacity crunch. Experts from all segments of the industry are feeling it—and seeing it in the data—and no one really expects it to let up any time soon. While the economic pendulum swings back and forth in terms of who benefits, right now the freight market favors carriers. There’s a lot at stake for shippers, but whether it’s for the long or short-term, becoming a shipper of choice benefits the entire supply chain, not the least of which are drivers’ experiences.